Welcome to It’s Monday! 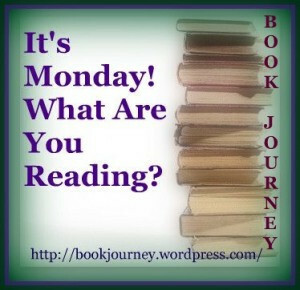 What Are You Reading, hosted by Book Journey! This is a great way to plan out your reading week and see what others are currently reading as well… you never know where that next “must read” book will come from! I actually made a ton of progress this week on my TBRs, finishing two books for review and another off my personal TBR pile. Also worth noting, I’m at 96/100 on my 2012 Reading Challenge, so hopefully I’ll be able to wrap that up within a week or so! I love being early for a deadline. 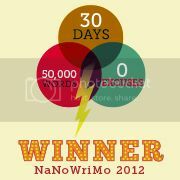 Speaking of deadlines … just barely squeaking by on NaNoWriMo. I’m hitting all the daily numbers, and giving myself an extra 200 words when possible, but when I see all these overachievers who are either done already, or 10k or so words ahead, I’m in awe. And also, I kind of hate them a little. In the Woods by Tana French. See my review from yesterday – a great read, extremely well-written. Highly recommend for mystery/thriller fans. The Vanity Game by H.J. Hampson. Read my review on Literary R&R. How to Understand Economics in One Hour by Marshall Payn. It took me less than an hour, and I definitely understand economics better than I did before (read: not at all). Cheesy dialogue throughout, but would be a good book for non-econ majors forced to take the class to graduate. I would have liked this book when I was in school. Afterwards by Rosemund Lupton. I’m only about 50 pages in, but I’m completely taken by the eerie premise and high emotional impact. Falling – Girl with Broken Wings by J. Bennett. I’m reading this one for Literary R&R and I just downloaded it last night. I read the first couple pages so far and that’s it. I’ve heard good things about Tana French. And I was even asked about her books this morning at tennis! Weird when real life and blog life intersect. I heard mixed reviews about Afterwards. I liked Sister, though. 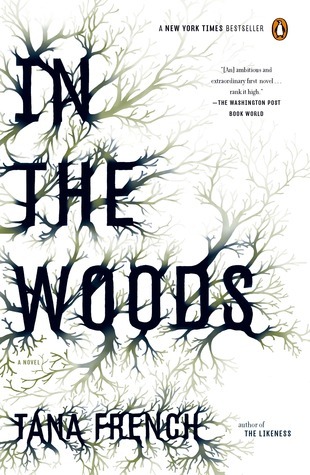 In the Woods looks sounds like a creepy good read from your review. I think I need to check it out. Good luck on NaNoWriMo! I had seriously considered participating this year but chickened out. I hope you enjoy your week! Wow! 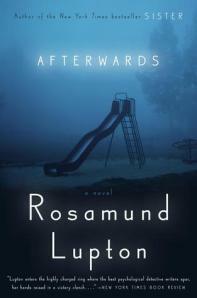 The cover for Afterwards is a bit haunting is’t it. I need to go check it out. Very haunting! I’m loving this one so far. Very unusual! Afterwards sounds very interesting. And yes, In the Woods is fantastic! I really need to get to the rest of the series! Ooh! I didn’t realize it was a series. I am asking for the rest of her books for Christmas, so I guess I will find out soon!